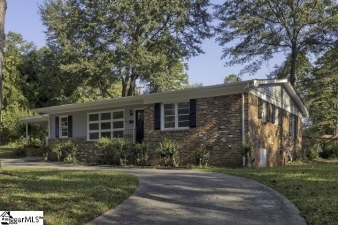 This classic full brick ranch sits on a corner lot in the highly sought after district 7 school area. The homeowners have updated this home and have made it move-in ready - new flooring, home freshly repainted with a circular drive and fenced yard. Priced to sell at only $119,500 - call or text Sunil at (864) 525-7449.